Microsoft define Microsoft 365 as a complete, intelligent solution – which includes Office 365, Windows 10 and Enterprise Mobility & Security – that empowers everyone to be creative and work together, securely. Security has been a top concern for organisations looking to make the move to the cloud, and with new European legislation and Public Sector funding pressuring a move to more agile cloud services, that concern in the UK Public Sector has never been greater. The Crown Commercial Service alongside Microsoft have created The Security & Compliance Package (SCP) as a means to support all Public Sector bodies in reaching the Government’s goal to be ‘Cloud First’, by providing a unique Microsoft licensing bundle that combines the best of Microsoft 365 security & productivity to Public Sector across UK, without breaking the bank. As a Microsoft security partner, Identity Experts have supported some of the most diverse and largest Public Sector organisations in adopting & deploying Microsoft cloud technology. 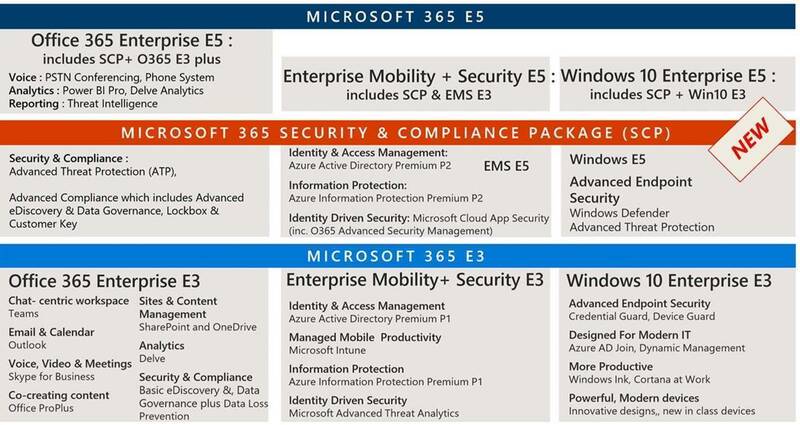 Get in contact with a member of the sales team if you’d like to learn more about the Microsoft 365 Security & Compliance Package.